Last-Minute Holiday Gift Guide... STEM Style! When it comes to STEM, I’ve observed two different groups of people… the STEM "embracers" and the STEM "time-wasters." With which group do you think you identify? The embracers: those who have wholeheartedly accepted STEM; understanding that it is much more than science, technology, engineering, and math—and that it can truly make life more enjoyable… either in the form of a new hobby, or the pursuit of a gratifying career. The time-wasters: those who have chosen to maybe just dip their toe in rather than engage in a full-on STEM cannonball, for whatever reason. Maybe it's due to fear of the unknown, or perhaps a misunderstanding that STEM seems to be only for programmers, or simply because STEM could come off a bit dull, dry, and/or boring on the surface to anyone who didn't grow up with it. Either way, these people are letting precious time (time that could have been spent building relevant skills of the "now" and the very long-term future) slip through their fingers. So, my goal with this post is to provide a few fun gift ideas for the already STEM believer. At the same time, I want to show parents who might have a kid or teen who might "not really be interested in anything tech-related," that STEM can take an entertaining form. Some of these gifts below might be called “smart” toys, but don’t let the adjective fool you. These things are fun, cool, and beyond being totally acceptable as holiday gifts. Haven’t your kids always wanted to build a Bubble Flute, a Don’t-Leave-Home-Without-it-Machine, or interactive piggy bank? Maybe they’ve never really considered such projects, but I bet similar, not-so-normal creation ideas have passed through their minds before—only to soon be shot down because they didn’t have the means to easily put imagination to use. Well, now they do. When I saw a recent littleBits ad, I was blown away. It’s so COOL! This isn't the exact TV spot I saw, but it gives you a good idea of what can be done with littleBits. The Premium Kit allows kids to learn electronics basics and STEM principles while sharpening critical thinking, and allowing for a great time inventing pretty much anything they can put their minds to. As their website says, “the time is ripe to create the building block of the 21st century and to empower everyone to be an inventor." With the kit, over 60,000 circuit combinations are possible, with a physical booklet of instruction on 10 projects is included, not to mention access to hundreds of more projects online. Summer Learning Opportunity: If you're currently registered for iD Tech Mini, you’ll have access to the Maker Station during supervised breaks, which includes access to littleBits Electronics and more! There are many benefits of LEGO toys, but one of the most valuable is the ability to build to your imagination. A short, semi-related aside to show why I'm enamored: When I was a kid, I remember watching the movie The Mighty Ducks (Gordon Bombay, anyone, anyone?). Great sports movie, entertaining, but one of the best things about it was that as soon as I got home from the theater, I was so pumped for hockey that I strapped on my rollerblades, grabbed my stick, and skated around in the driveway until the sun went down for nights following. I never really had any desire to play hockey until watching the movie. Now, when I saw The LEGO Movie, I experienced something similar. The film was extremely inspiring! 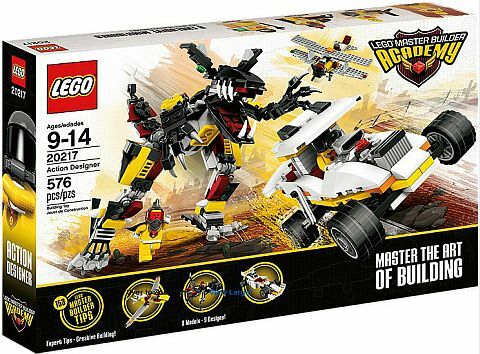 For kids and teens feeling the same way, the LEGO Master Builder Academy Kits quench such inspiration, providing the open-ended creativity with a ton of imaginative builds. Kit options include the Space Designer (spaceships), Robot & Micro Designer (robots & micro models), Action Designer (creatures, planes, and autos), Adventure Designer, and Invention Designer. Each set includes an 84-page Designer Handbook, equipped with actual designer tips and specific building techniques, multiple builds, and online access to exclusive content and activities. Summer Learning Opportunity: If your child loves all-things LEGO, let them know about the iD Tech Camps' LEGO summer camps. If you aren’t familiar with GoldieBlox, the company’s goal is to “get girls building” and move beyond the pink aisle when it comes to toys. And if the name sounds more like children’s book than toy, you’re half right—as each set touts a storybook AND construction kit. 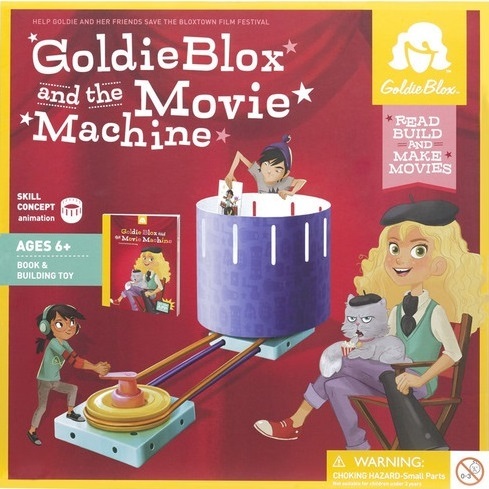 For example, in the GoldieBlox and the Movie Machine Kit, when the Bloxtown Film Festival is canceled, Goldie and friends must invent a solution to save it! So, with the kit, kids learn how to build a zoetrope (which is a pre-cinema animation device), in addition to learning about animation, illustration, and more. It’s the full learning gamut as students build spatial and reading skills, engineering know-how, and confidence. Summer Learning Opportunity: Those interested in learning more about filmmaking should take a look at our filmmaking camps; those who like animation and illustration might enjoy our summer design courses. So, there you go. A few favorites to choose from to either a) put a smile on your embracer's face b) help convert a time-waster into an embracer, or c) give a gift that really does keep on giving in terms of providing value above and beyond your typical toy. Happy HoliDays! LEGO image courtesy of the thebrickblogger.com. GoldieBlox image courtesy of studica.com.